Enable notifications in the settings to be alerted when it's time to do another task. Swipe to complete a task. Swipe again to undo. Plan today, the days ahead, and look back to past tasks. 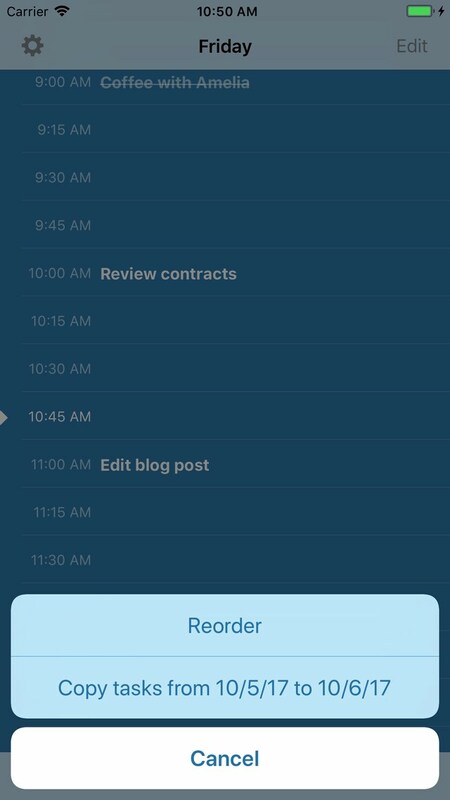 Tap the ‘Edit’ button to reorder tasks. 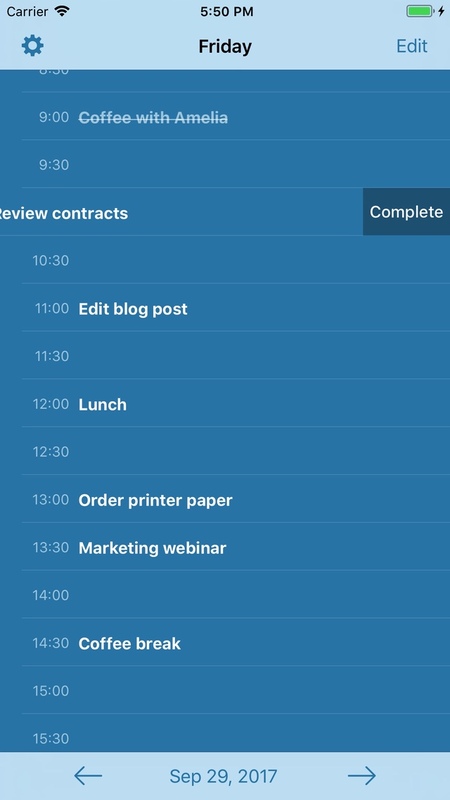 Quickly copy incomplete tasks from the previous day to your currently selected day. 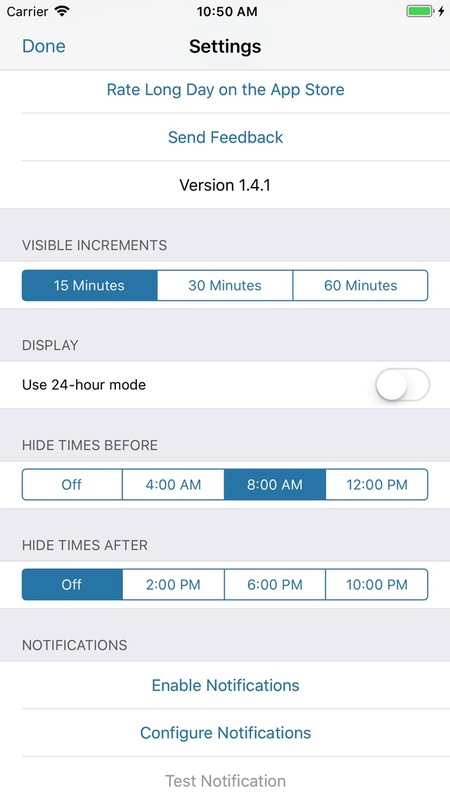 Control which hours are visible through the settings. 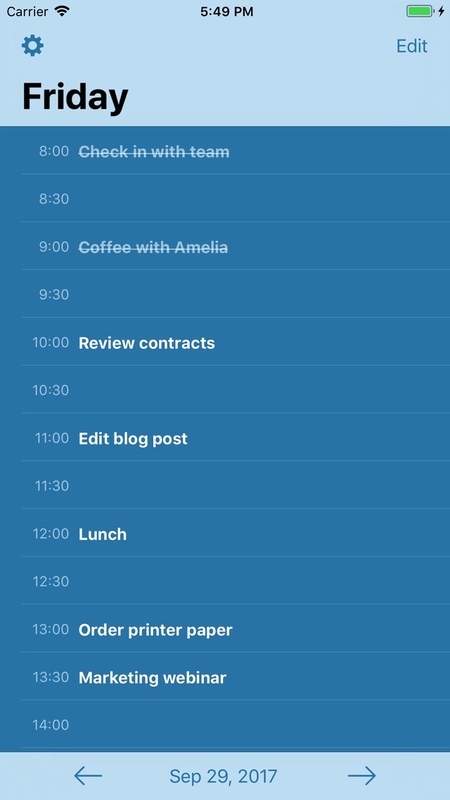 Plan your day in in 15 minute, 30 minute, or hour long intervals.